Dedicated to helping you reach your health and fitness goals. We have had years of experience of training and coaching a wide range of people, from beginners just starting their journey into fitness, to more experienced athletes looking for that final piece of the puzzle to give them the edge in competitions and their chosen sport. Throughout our experience, we have learned three key principles: First, quality of movement and coaching are imperative and should be at the core of every good CrossFit box. They should be sought after tirelessly. Second, your development as a coach and an athlete never ends and you should continue learning from as many different sources as possible. Finally, the only thing that comes close to the importance of quality movement is the importance of having fun and enjoying your training. Our goal as coaches is to instil these principles in our athletes. For as long as she can remember, Maria attended circuit classes at least 4 times a week, but never felt like she was making any progress. Introduced to CrossFit in 2012, she finally found the missing element: she started training to be strong and healthy, as opposed to training to ‘look good’. In 2013, Maria left her office job behind and became a full-time CrossFit Trainer. Maria is a registered CrossFit Level 1 and Level 2 Trainer, and has her Level 1 Award in Coaching Weightlifting from the British Weightlifting Association. She has also attended the CrossFit Mobility, CrossFit Gymnastics and CrossFit Endurance Running seminars and the BirthFit Coaches Seminar, focusing on pre- and post-natal training. She has had coaching experience at three boxes in London and learned a great deal from these experiences. Maria has competed in CrossFit competitions around Europe. She is the proud momma of Baby Coach. Phil started CrossFit in 2009, coming from a background of athletics and endurance sports, at the slight weight of 59 kg. Hard work and dedication have brought him where he is today. Phil is a Level 1 and Level 2 CrossFit Coach. Phil started coaching in 2010 and holds a Bsc Human Biology and a Diploma in Sports and Remedial Massage Therapy. Phil has also completed 3D Maps Movement Analysis & Performance System certification (Gray Institute) as well as attending a number of CrossFit seminars (Mobility, Endurance Running, Football, CrossFit Kids, Olympic Lifting & CrossFit Competitors Course). He is a certified Bioforce Conditioning Coach and has completed the Gym Jones Level 1 Trainer Course. He enjoys coaching competitive athletes, rock climbing, playing football and cheering on / shouting profanities at Manchester United. For Naama, being a great coach is all about helping people to be the best they can be both inside and out. Her role as Head of Coaches’ Development at CrossFit 1864 allows her to not only support the coaching team, but also the members of CrossFit 1864, making a much more significant impact on the health and wellbeing of others. Naama is the first female CrossFit Level 3 (CCFT) Certified Trainer in the UK. She has attended seminars in CrossFit Kids, CrossFit Gymnastics, and CrossFit Strongman, is certified in Pre- & Post-natal Assessment and Exercise Prescription and is also a Krav Maga Trainer. The most Zen coach of the CrossFit 1864 team, Graeme (known as 'Whizz' by our members) was first introduced to CrossFit in 2013. Never one to turn down challenges or opportunities for exploring new ideas or new places, he has found a passion for increasing the body's capacity for tasks both in and out the gym. 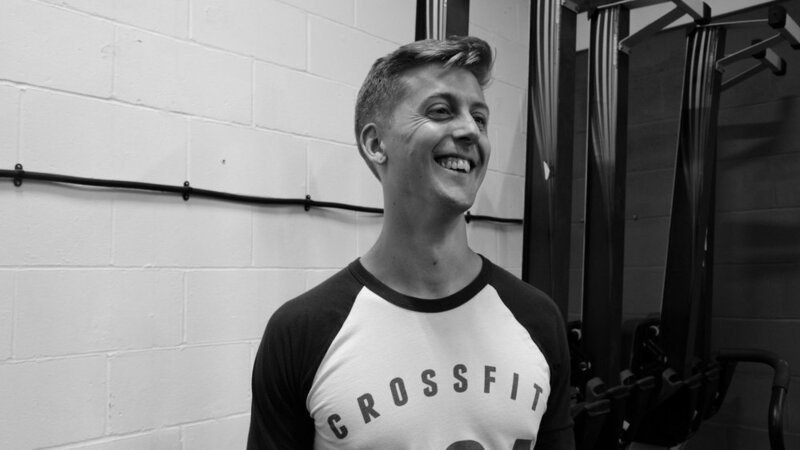 Graeme is a registered CrossFit Level 1 Trainer and Level 2 Trainer and has also attended the CrossFit Mobility seminar. David started CrossFit in 2015 and he’s the most hyper coach on the team! With his banging tunes and big smile, he brings energy and enthusiasm to our early morning sessions (especially if you enjoy training to Mariah Carey and the "Macarena"...). David is a CrossFit Level 1 Trainer. Overweight and unfit, Alice struggled to find something that she enjoyed and would keep her motivated. In 2014, Alice found the solution to her problem with CrossFit, which provided the much-needed change from her normal gym routine. The element of CrossFit that Alice enjoys most is the ability to challenge one's body to be the best version it can be, testing it across various domains, such as weightlifting, gymnastics, and rowing. She believes the best test of progress is to look back at how far you have come. Alice enjoys coaching and 1-1 personal training because she loves watching her athletes’ confidence grow, both in and out of the gym. Alice is a Level 3 Personal Trainer and a CrossFit Level 1 Trainer.